When you’re looking for a roof company to install a new roof on your home in Dubuque, Iowa, or another nearby area, look no further than Waddle Exteriors. We’ve served residents of the community since 1978, and are committed to providing a stress-free roofing experience. As a full-service home exteriors contractor, we have the expertise to masterfully handle your roof installation project. Furthermore, our installers attend ongoing training classes in all the products that we utilize to ensure that they are always up-to-date on the best installation practices. We’re so confident that you’ll be satisfied with our workmanship that we offer an exceptional 100 percent satisfaction guarantee on every installation that we perform – one of the best guarantees that you can find from a company throughout the area. 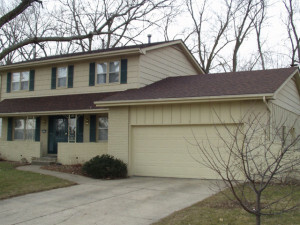 If you’re looking for a trustworthy company to install a new roof on your home in Dubuque, IA, or the surrounding areas, contact the experts at Waddle Exteriors today. We are extremely proud of our A+ rating with the Better Business Bureau, as well as our long list of satisfied customers.